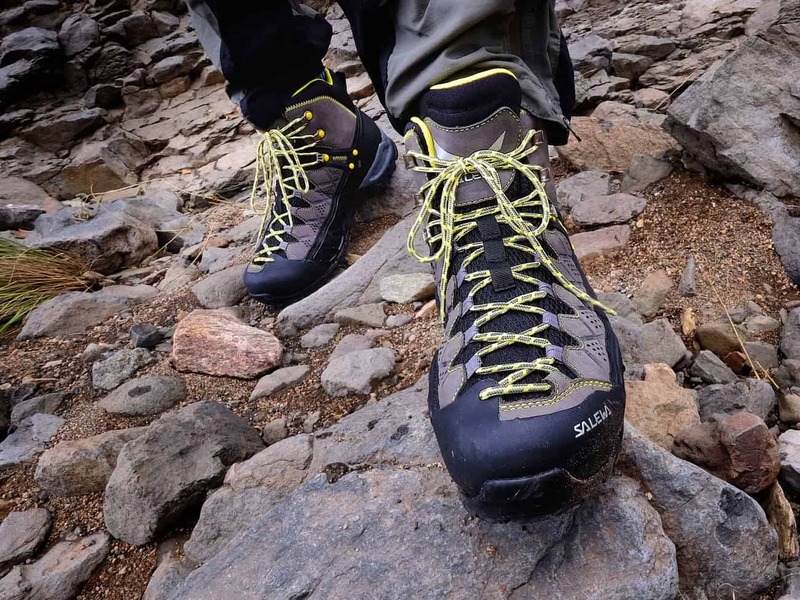 Despite their legacy as one of Europe’s premier manufacturers of climbing hardware and apparel, the Salewa brand is a relative newcomer to the footwear market. That doesn’t mean their boots and shoes have not become extremely popular with the adventure set since their release in 2005. I have personally seen them in action all over the world, from the depths of the Grand Canyon to the heights of the Himalayas and Andes. And with that, here comes a confession. 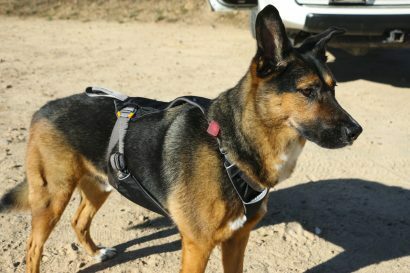 This is not the most unbiased product review I have ever scribed as I am an unabashed Salewa fanboy. I have owned a couple different pairs of Salewa boots and worn them for hundreds of miles over some of the most rugged trails in the Southwest. They have always served me well, but with their soles wearing thin, I thought it was time to slip on a new pair––the Alp Flow Mid GTX. At only 2-pounds, 11-ounces for my size 10.5 boots, they are impressively light given the level of protection they afford. Perfectly suited for portaging a fully loaded backpack, the soft EVA midsole and moderate stiffness make them comfortable for daily wear when traveling on and off the trail. The climbing DNA in the Alp Flow can be seen with the lace-points which extend all the way to the tip of the toes for precise adjustment, and the lay-flat lace loops provide even and comfortable pressure across the entire foot. Best of all, they require no break-in. I plucked the Alp Flows from their box and proceeded to knock out a 9 mile hike with no discomfort at all. 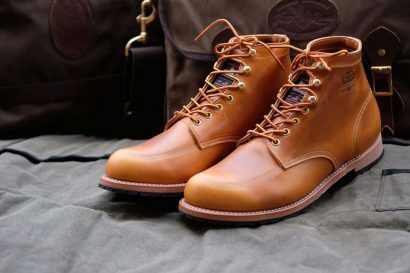 The most unique element of the design is the trellis-shaped rubber rand on the sides of the boot. That rand provides support and protection without compromising breathability. 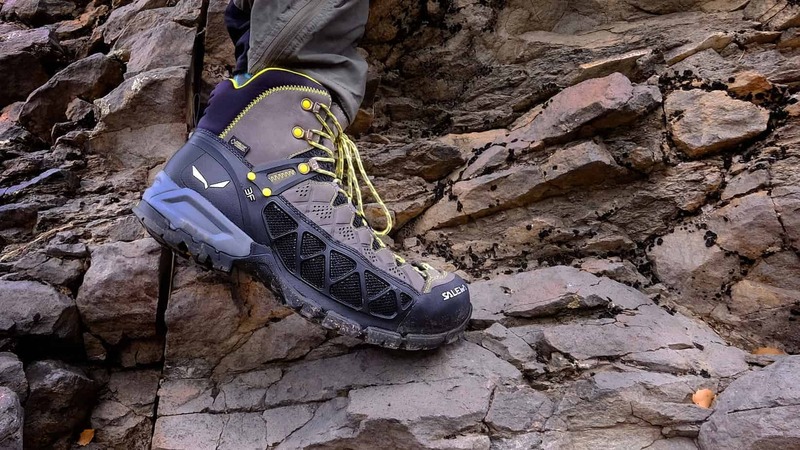 The other distinctive feature, one commonly seen on Salewa boots, is the reinforcement that extends over the instep to hold the foot firmly in the heel cup. A well padded tongue and cuff soften the contact points and the nubuck leather uppers and ballistic mesh are extremely breathable and supple. These are possibly the most comfortable pack-weight boots I have ever worn. 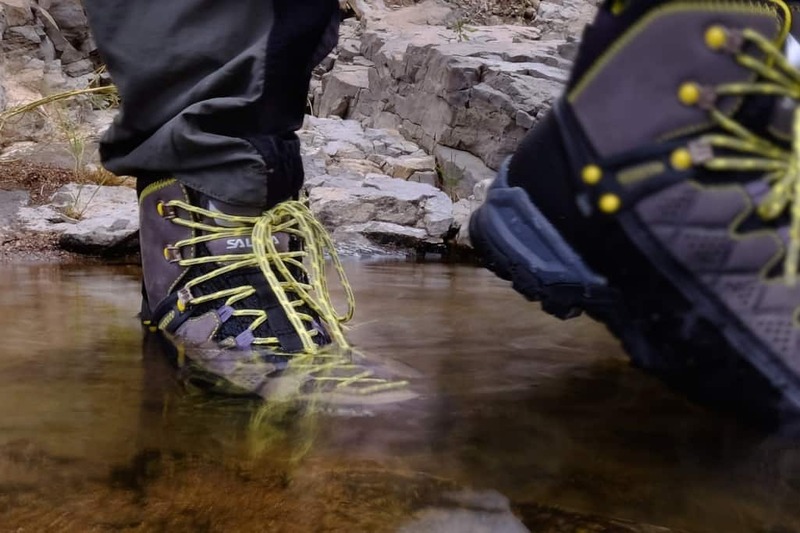 The Gore-Tex Surround membrane has been water tight, even in Arizona’s worst monsoons and after repeated stream crossings. For those not familiar with Gore-Tex Surround, and particularly for anyone harboring skepticism of waterproof membranes of any kind, Gore’s latest waterproof barrier is specifically engineered for footwear. Perforations in the footbed and midsole help circulate air around the foot for better moisture transference. After trudging down the trail for hours on end in the sweltering heat of Arizona, I can attest to the Alp Flow’s superior breathability. Like any waterproof boot, they do get warm, but not nearly has hot and stuffy as I had expected. The rest of the boots have all the attributes one would expect of a fine trekking boot. 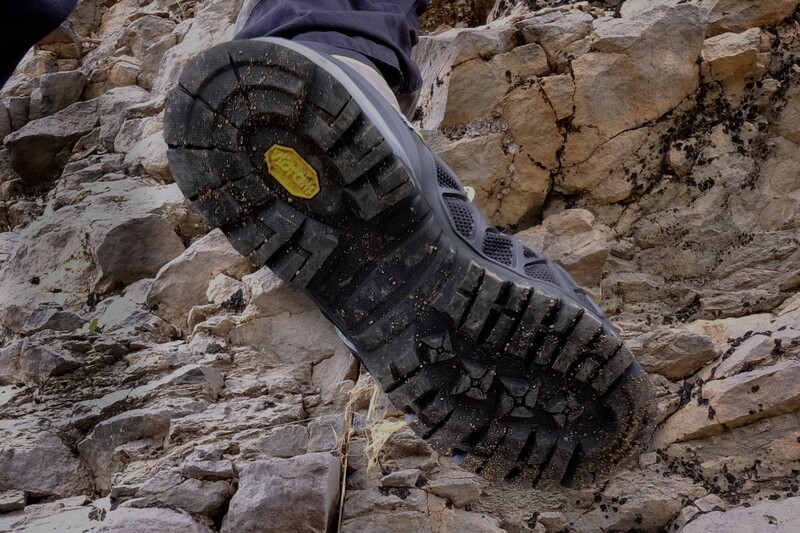 The Vibram outsole has an aggressive tread pattern with a smooth toe section for precise foot placement. A rubber toe cap protects the most easily damaged portion of the upper and a recessed heel counter affords good traction when on loose, downhill sections of trail. Fit is neutral with medium volume, although people with wider feet may find the forefoot a tad snug. I would classify the shape as commensurate with a European fit; Narrow in the heel and mid-foot, although there is a respectable amount of toe room. Modern boots have evolved towards a lower mid and outsole thickness and this is true of the Alp Flow Mid. I endorse this trend as it keeps the foot low to the ground for a more natural stride, and for those of us in the overlanding world, feels more comfortable while driving. 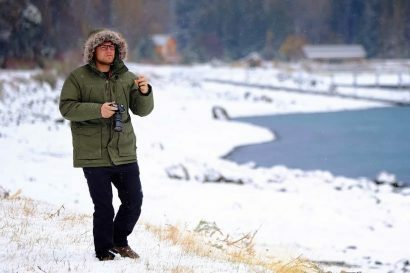 In the last few years I have gone on a number of adventures that required a trekking boot, but mandated I travel with just one or two pairs of footwear. This means I’m often flying in my boots or wearing them for hours on end in a truck. The Alp Flow Mid, as light and comfortable as they are, will tackle those travels with aplomb. 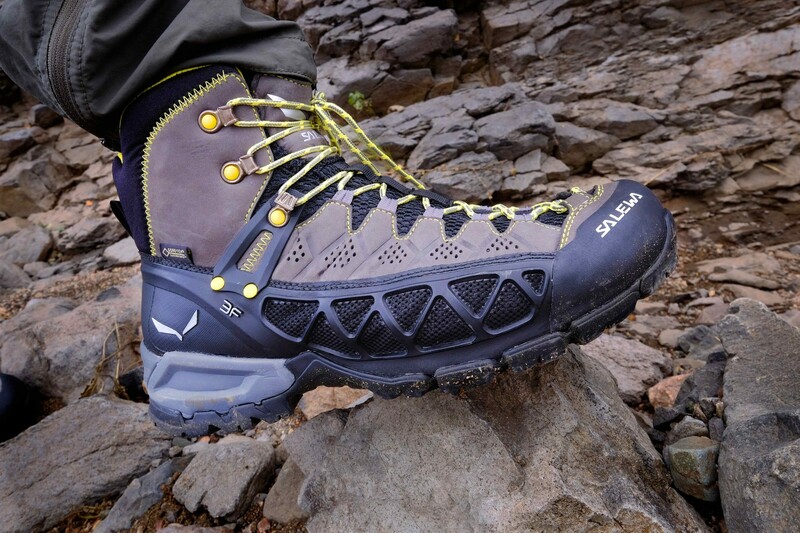 It’s another superb offering from Salewa and I can’t wait to see where they take me. On the short list is the Chilkoot Trail in Alaska this fall.